Posted by Becky Engen on 12:30 PM on April 3, 2017 . 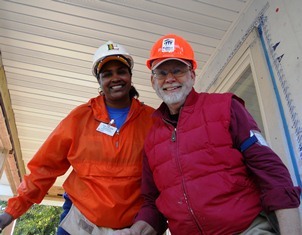 Although Habitat for Humanity is probably best known for our homebuilding and homeownership programs and services, we also offer Mortgage Foreclosure Prevention support for residents of Minneapolis, and health and safety repair services for existing low-income homeowners in the Twin Cities metro area through our A Brush with Kindness (ABWK) program. Posted by John Hagerman on 9:57 PM on October 13, 2014 . Fix it and forget it is a popular saying, but Twin Cities Habitat for Humanity wants everyone who came to, or heard about, our annual Fix It Fair to Fix It and Remember. 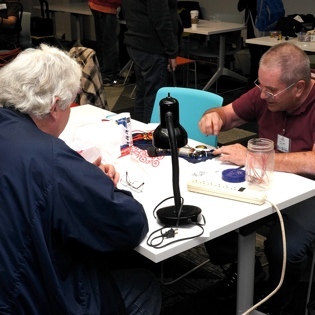 While volunteers helped repair small, non-functioning household items for anyone who brought them to the fair, the event also served as a way to remind people of the mission of Habitat and all the ways we carry that mission out. Posted by Kaitlyn Egan on 10:00 AM on July 8, 2014 . Gene, a Vietnam and Afghanistan Veteran, was struggling to stay in his home due to a failing heating system. With the biting Minnesota winter at his door, he was in great need of a replacement HVAC unit. Posted by Mike Anderson on 1:03 PM on July 22, 2013 . Five years ago, foreclosures in Minnesota were at an all-time high. Thankfully, with recent changes in legislation, much of the foreclosure activity has been quelled. Posted by Mike Anderson on 11:41 AM on May 30, 2013 . 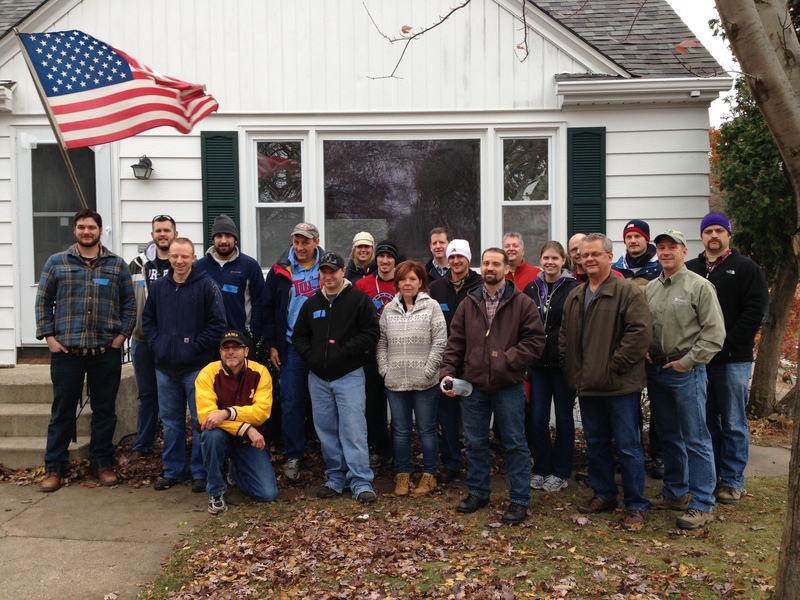 Twin Cities Habitat for Humanity’s Mortgage Foreclosure Prevention Program (MFPP) is happy to be participating in the Making Home Affordable Outreach and Intake Project. A new effort by national, state, and local organizations, the project aims to help as many homeowners as possible by the end of the year. Posted by Matt Beachey on 12:00 PM on April 24, 2013 . April 15 is behind us, but that doesn’t mean that we can stop thinking about taxes altogether. 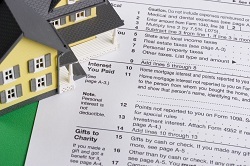 Although much of the interest this time of year is on income taxes, there is another type of tax that, if not paid, can result in a people losing their homes: property taxes. Posted by matt haugen on 11:15 AM on January 18, 2013 . 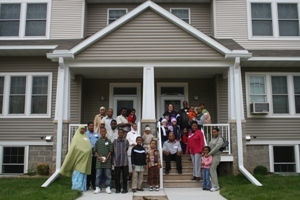 One of the most inspiring parts of working at Twin Cities Habitat is watching our partner families make their dreams of better housing for their families come true. From the beginning, Habitat has used the slogan “a hand up, not a hand out” to describe how families achieve better housing situations through partnership. Posted by Matt Beachey on 12:00 PM on December 18, 2012 . 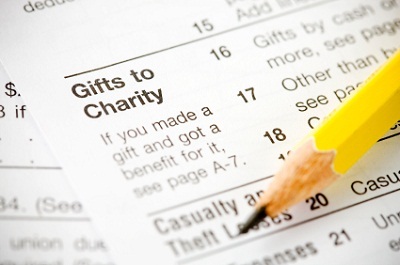 The year is almost over, but there’s still time to make a donation this year and deduct from your 2012 taxes. Tax-deductible donations effectively reduce your annual taxable income, increasing your return in April, or lowering the amount you owe to the IRS. You can think of it as doing good for your community now, and getting an unexpected return in April. 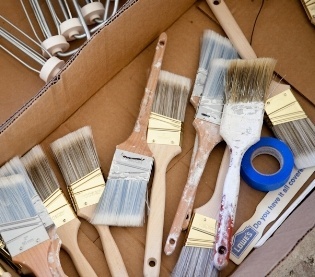 Posted by Twin Cities Habitat for Humanity on 8:10 AM on July 28, 2012 . Foreclosure has affected many people across the country during the last five years; but one group is becoming more and more in need of foreclosure prevention assistance. 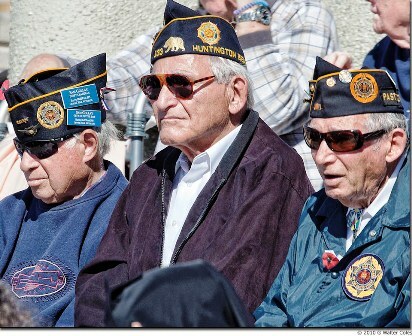 Veterans are increasingly facing foreclosure as unemployment continues to rise for post 9/11 veterans at a higher rate than the rest of the country. The Servicemembers Civil Relief Act (SCRA) was put in place to protect veterans from civil matters such as breach of contract, bankruptcy and foreclosure. However, several banks that have improperly overcharged and foreclosed upon deployed servicemembers during the past year. This is in violation of the SCRA. The Servicemembers Rights Enforcement Improvement Act of 2012 was introduced by United States Sen. Patty Murray in April of this year. This bill aims to strengthen the protections of SCRA and help enforce them. Posted by Laura Grevas on 8:10 AM on May 28, 2012 . Announced in February and officially approved in April 2012, the National Mortgage Settlement was negotiated by the top five lenders and various government officials to provide assistance to current and previous homeowners who were negatively impacted by the foreclosure crisis. However, given the overwhelming budget deficits experienced by many states, controversy is forming around the specific use of the funds. Will closing the budget gaps directly aid in mitigating foreclosure effects on homeowners?